DARMSTADT, Germany – Dec. 3, 2018 – TE Connectivity (TE), a world leader in connectivity and sensors, continues to expand its AMPMODU system, the signal standard that provides design flexibility and high reliability in automation and control applications. The AMPMODU system includes board-to-board (BtB), wire-to-board (WtB) and wire-to-wire (WtW) connectors. The large variety of small, high-quality components make this interconnect system highly suitable for a wide range of industrial applications. This product family will now include a UL and VDE-approved 2-mm platform, comprising of headers and receptacles that will provide extra design freedom and save more space. 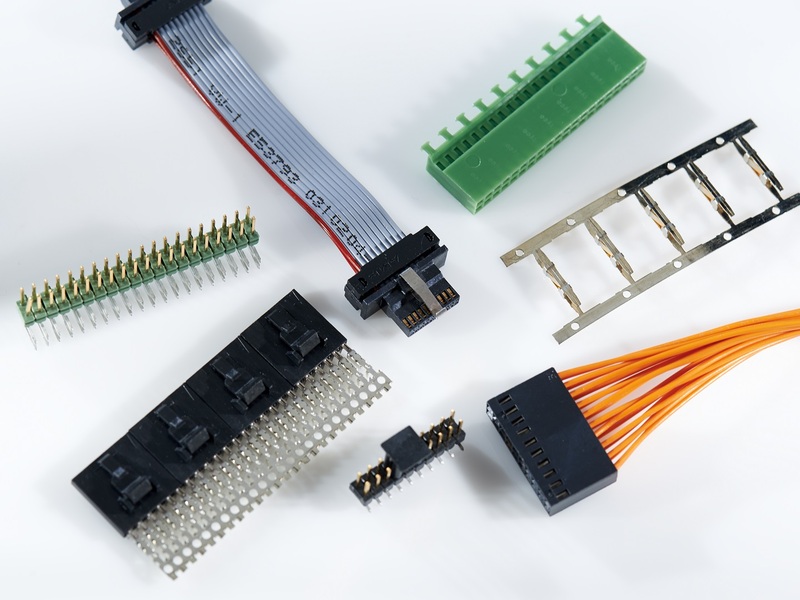 “These new AMPMODU 2-mm headers for BtB and WtB signal transfers occupy over a third less space than headers with a 2.54-mm centerline,” says Sameer Trikha, global product manager Industrial Device – Board connectivity. “This allows customers to build more functionality onto their boards.” They are available in breakaway, shrouded and stacking versions, –offering reliability and economy in design while meeting all relevant packaging and inter-connection requirements. These headers are available for automated SMT, Through-Hole-Reflow (Pin-in-Paste) and traditional through-hole mounting onto boards with thicknesses of 1.2, 1.6, and 2.4 mm. Additionally, TE’s shrouded headers are specially designed to be intermateable with other major brands, and include a center-latching version allowing them to survive in high vibration environments. TE will introduce mating board-mount and wire-applied receptacles in 2019. The new 2mm connectors join a family of AMPMODU connectors including the 50/50 Grid connector that showcases a variety of high-density BtB and WtB connectors with a pitch of 1.27 by 1.27 mm (0.05 x 0.05 inch), while offering parallel stacking in three different heights or mating capability with latched cable assemblies. AMPMODU Mod IV V connectors include rugged and reliable WtB connectors on a modular 2.54 x 2.54 mm centerline configuration that mate to AMPMODU breakaway headers (shrouded and unshrouded) with a 0.64-mm square post. AMPMODU MTE connectors with coupling shrouds, meanwhile, permit ganging of receptacle assemblies for dual-row configurations; specifiers can choose from IDC and crimp termination types, all with a latching capability that provides positive retention between housings. Finally, the MODU System 50 family is made up of various high-density connectors (BtB and WtB) with ribbon or FFC cable terminations. AMPMODU, TE, TE Connectivity, the TE Connectivity logo and EVERY CONNECTION COUNTS are trademarks of the TE Connectivity Ltd. family of companies.